The online poker industry of the United States continues to grow in 2015, with Nevada, Delaware and New Jersey continuing to work on their online gaming offerings. Additional states such as California are also trying to get in on the action with several bills proposed to try and legalize the option. As the industry moves forward, Nevada and Delaware are preparing to make good on the Multi State Internet Gaming Agreement they made back in 2014. According to reports by the Las Vegas Review-Journal, the two states should be offering shared player pools within a four to six week time frame. Governor Brian Sandoval of Nevada stated that the shared liquidity should be ready by this time frame. The partnership has not begun as of yet due to technical glitches. Within the state of Nevada, players have two online poker sites in which to enjoy real money poker gaming from home or on the go. In Delaware, three sites are available. 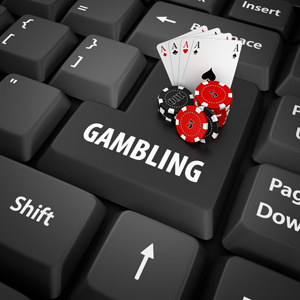 In Delaware, 888 Holdings provides the gaming software for each site while they offer software for one of the Nevada sites. With the partnership, both states will be able to combine player pools, with Delaware home to just over 900,000 residents and Nevada sitting at around 2.7 million. Both states have not been able to keep up with New Jersey when it comes to online poker revenues. Nevada has a stronger market than Delaware but still comes up short in regards to poker gaming. Both need the additional player traffic to see better revenues and overall traffic numbers. When shared player pools is a reality between the two states, players will be able to find more games taking place at any given time with a nice variety formats and stakes. Larger player pools will be created during multi table tournaments which should entice more players to take part in online poker gaming within the two states. Delaware would of course benefit more when comparing the two states as they have a smaller market to create player pools. Once the two states begin to share player pools, other states may also decide to join in. As of now, only New Jersey would have the option of joining in, but as more states begin to legalize poker and casino gaming online, additional states could join in creating a larger, more cohesive United States online gambling industry.